Other Food: daily devos: Are you one of God's favourites? Explosive: He, along with his brother James, were known as "Sons of Thunder" - Mark 3:17. Intolerant: He stopped someone who wasn't part of their group from casting out demons in Jesus name. Jesus set him straight - Mark 9:38-39. Vindictive: When Jesus and His disciples passed through Samaria and the locals didn't welcome Him, James and John (those Sons of Thunder) asked, "Lord, do you want us to command fire to come down from heaven and consume them?" Jesus' reply was scathing: "You do not know what manner of spirit you are of..."- Luke 9:51-55. Ambitious: In company with his brother James, he asked to be seated beside Jesus when He set up His kingdom. Again Jesus put the boys firmly in their place: "You do not know what you ask!" In fact, their ambition threatened to divide the disciples until Jesus turned their request into a lesson about true greatness - Mark 10:35-40. 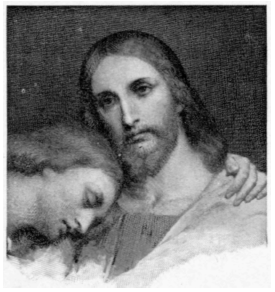 Yet, in spite of all the times John messed up and Jesus scolded him, he sensed that he was uniquely loved. Numerous times he refers to himself as "The disciple whom Jesus loved" (John 13:23; 19:26; 20:2; 21:20). Though we may have felt, if we were one of the disciples, that John's claim was abrasive ('You mean He loves you more than the rest of us?') I can't help but think it warmed Jesus' heart. Just as we want our kids, friends, and the people with whom we do life to sense that we love them, I believe Jesus saw the love response of John's heart toward His love, and was honored and blessed by it. PRAYER: Dear Jesus, help me to sense my special place in Your heart without making a competition of it. Please teach me about the love You prayed I would have. Amen.